Deborah L. Lesko has a passion for helping people achieve equitable and healthy resolutions to legal issues and conflicts, a passion for confident and strategic legal planning, and a passion for helping people achieve their goals through caring and competent legal services. 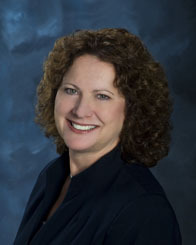 She has had the privilege of serving the legal needs of individuals and families since becoming an attorney in1983. 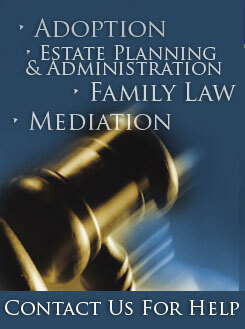 Deborah’s focus of her practice is in adoption law (including private & agency adoption, domestic and international adoption); family and divorce law (including custody, support, relative and step-parent adoption and equitable distribution of property); estate planning (including wills, trusts, powers of attorney, living wills); estate administration (probate, inheritance tax); and mediation (alternative dispute resolution). 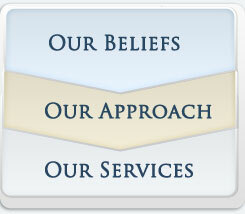 Her practice involves striving to provide excellence in Legal Services and Mediation Services. She also serves as a Parent Coordinator in custody matters. She has received numerous court appointments to serve as counsel for children or parents in adoption and custody matters. Through 2007, Deborah was partner in the firm of Shields & Lesko, PC: She then founded The Law and Mediation Offices of Deborah L. Lesko, P.C. in November 2007. Deborah is a graduate of the University of Pittsburgh School of Law in 1983, and a graduate of Pennsylvania State University with a Degree in Accounting in 1979. She is a lifelong resident of the Pittsburgh area. A sought-after speaker, Deborah has provided course planning, written materials, and teaching for attorneys through The Pennsylvania Bar Institute, The National Business Institute, and the Allegheny County Bar Association. In addition, she is a regular teacher/presenter for numerous professional and community organizations, including The Children’s Home Of Pittsburgh And Lemieux Family Center, Adoption Connection, PA, Catholic Charities Diocese of Greensburg, A Labor of Love, and many community and church organizations for senior citizens, adopting parents, and divorce support groups, as a public service to educate and encourage others. She has been a guest on adoption television programs at Cornerstone Television, Pittsburgh, PA.
Other activities include: Women Without Walls Ministry (President, a ministry dedicated to the unity of Christians of all denominational and ethnic backgrounds); Teacher of numerous Bible Study classes at South Hills Assembly of God, guest teacher/speaker for various churches, and teacher/speaker for Women Without Walls Ministry Downtown Bible Study; Hillcrest Christian School Board Member (1984-1987); Recipient of 2002 Award from Pittsburgh Women 2000 for her outstanding work in breaking down racial barriers.